FORT LAUDERDALE, Fla. - Fort Lauderdale police are searching for a 41-year-old man accused stabbing his brother to death on the Fourth of July. Tracy Figone, a spokeswoman for the Fort Lauderdale Police Department, said Cori Butler and his brother, Travis Butler, 39, got into an argument around 8 p.m. outside their cousin's home in the 2500 block of Northwest 28th Terrace. Travis Butler tried to walk away from the argument, but Cori Butler followed him inside the home, Figone said. At some point, Cori Butler grabbed a knife and fatally stabbed his younger brother in the neck, Figone said. 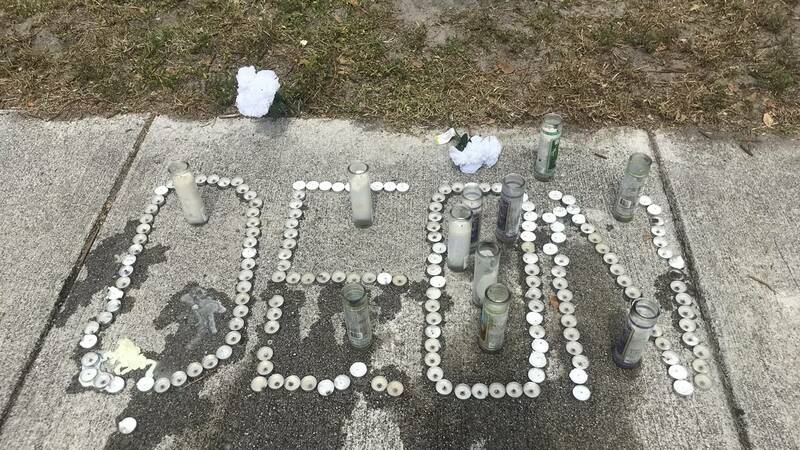 Friends made a makeshift memorial to Travis Deon Butler near where he was killed in Fort Lauderdale. Cori Butler fled the scene, police said. When paramedics arrived, they pronounced Travis Butler dead. Neighbors told Local 10 News that Travis Butler had just been released from jail. Anyone with information about Cori Butler's whereabouts is asked to call 911. Anyone with information about the stabbing is asked to contact Sgt. Steve Novak at 954-828-5556 or Detective Jason Wood at 954-828-5344.